InterServer was founded in 1999, when two ambitious students purchased a single domain name and a virtual hosting reseller account. They shared a dream, to offer affordable hosting, while still maintaining a high level service and support. 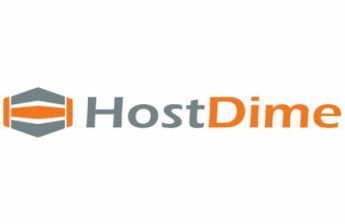 Now they are a huge hosting company, offering great plans to their users and great support, for what InterServer earned a lot of award and testimonials. In InterServer’s shared hosting plans you can find the standard plan for $5/month, managed WordPress for $8/month and ASP.NET web hosting for $5/month. They are fully managing these plans and featuring things like unlimited storage place, unlimited data transfer and unlimited FTP accounts. You can enjoy weekly backups, quick install scripts, Raid-10 storage, speed optimization and SSD caching servers. They provide free migration, 99,9% uptime guarantee and 30 day money back guarantee, what is really nice to have for a shared hosting plan. Their VPS plans are all cloud based, which harve a lot of upsides. You can start from a single with 1 GB of RAM and 25 GB of storage with a Linux based operating system for $6/month ($12/month for Windows) and you can upgrade it up to 4 cores with 16 GB of RAM and 400 GB of storage with a Linux based operating system for $96/month ($160/month for Windows). Thanks to being cloud based you can easily scale it up and down anytime thank to the web-based Easy Control Panel. InterServer’s VPS plans feature instant setup, monthly pricing, gigabit network, cluster DNS and full control (root or admin). You can enjoy the high performance storage, backups and snapshots, DNS manager, 15 minute deploy time, server monitoring and 1 public IP address. For the operating system of your VPS server you can choose from Debian 7, CentOS 7, Ubuntu 14.04, ArchLinux, Windows 2012 R2, Windows 2016, CERN Linux, Funtoo, Gentoo Linux, Openwall, ALT Linux, SUSE, Scientific, Fedora, Open SUSE and Slackware. If you want to upgrade you VPS server you can add additional IPs, or install Cpanel, Softculous, Ksplice or Direct Admin. InterServer’s Quick Servers are dedicated servers with 20 minute set up time. These are featuring all the functions of a dedicated server, but ran through KVM virtualization. When you order a Quick Server you get access to the InterServer Management System through our My.interserver.net portal which allows for reboots, reinstalls, and out of band console access through VNC just like our VPS’s except with the full power of a dedicated server. The Quick Servers are monitored and managed by the InterServer team. The plans offer from Intel(R) Xeon(R) and Intel(R) Core(TM) i7 processors. You can choose from an Intel(R) Xeon(R) CPU E3-1230 V2 running on 3,3 GHz with 16 GB of RAM and 1844 GB storage for $95/month and go up to Intel(R) Xeon(R) CPU 5130 running at 2,00 GHz with 16 GB of RAM and 1880 GB of storage space for $142/month. These server comes with the free features of 5 IPs, zero upset fees, 100 MB or 1 GB port, 24/7 uptime monitoring, 10 TB transfer, 4 hours provisioning, managed support and data migration. You can choose from Xeon E3-1230 with 16 GB base RAM and 250 GB storage space for $139/month or dual E5-2620 with 8 GB base RAM and 250 GB storage for $310/month. You can configure at ordering if you want more RAM added (up to 32 or 64 (dual E5 variant) GB) and you can add more storage in the form of Hard drives and SSDs. You can upgrade the 10 TB base bandwidth up to 100 TB (1 GB port). For operating systems they are offering CentOS, Gentoo, FreeBSD 10.x, Fedora, Debian, Ubuntu, Cloud Linux, Windows 2008 web, Windows 2008 standard or Windows 2012 standard. If you want a control panel you can get cPanel, Plesk or Direct Admin installed. Their data centers are located in Seacaucus, NJ (2 data centers) and Los Angeles, CA. Their facilities guarantee a 100% power uptime and 99.9% network uptime to provide the best service they can. They use all the required protection for their data centers and have 24/7 human security as well, so no unauthorized person can access your data. The data center’s location might seem a relatively tight geographical coverage, but visit them to see if they might be what you are looking for. You can reach their support by writing an email, you can use their toll free office number or write in the forums. Their reviews are great, except a few complaints, but they reach out to them quickly to solve the issues. InterServer’s website is well made and easy to navigate on, so it’s easy to choose the best suited solution for yourself. In this InterServer review we found that they offer a great range of plans with good features and a fast responding support team. On the negative side they only have data centers in the U.S. and there are no money back guarantee for their VPS plans. We are participating in InterServer’s affiliate program, but that does not affect any ranking or facts. We always give our own, honest opinion in our InterServer review. Data centers only in the U.S.